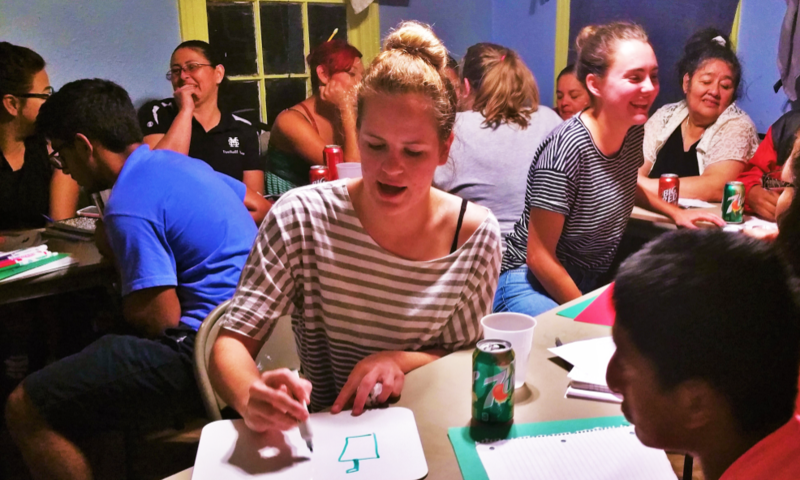 We spoke with one of our wonderful ESL teachers, Camille, about her extensive involvement with Casa Marianella and what she has gained from teaching and interacting with people from all walks of life. What first prompted you to start teaching ESL? I was told about how refugees come from very bad situations in their home countries. I would visit periodically for Convivio or other events but since I didn’t know anything about the legal system I felt I couldn’t help. And when I saw people my age teaching English I was excited because I knew it was something I could do. What have you personally gained from this experience? I have gotten a window into the lives of people who have chosen to share their painful experiences either through conversations or at Show and Tell night. If it weren’t for Casa or similar organizations, I wouldn’t get the experience of hearing from a first-hand perspective what goes on in other parts of the world. It really does put more meaning into my life. Have you had any memorable experiences volunteering? My most memorable experiences are of many different students (I won’t name names) who light up the classroom with laughter because they are so funny and they probably don’t even realize they are helping to show the other struggling students that it’s fun to learn English. Why do you think it’s important for Austinites to get involved and help spread awareness of Casa’s mission? It’s important to spread awareness because we are so lucky to have been born into a society where we are not at risk of being attacked or ostracized, and it’s only by chance that we are not in their shoes. It’s like the golden rule; everyone would appreciate having help if they needed it.